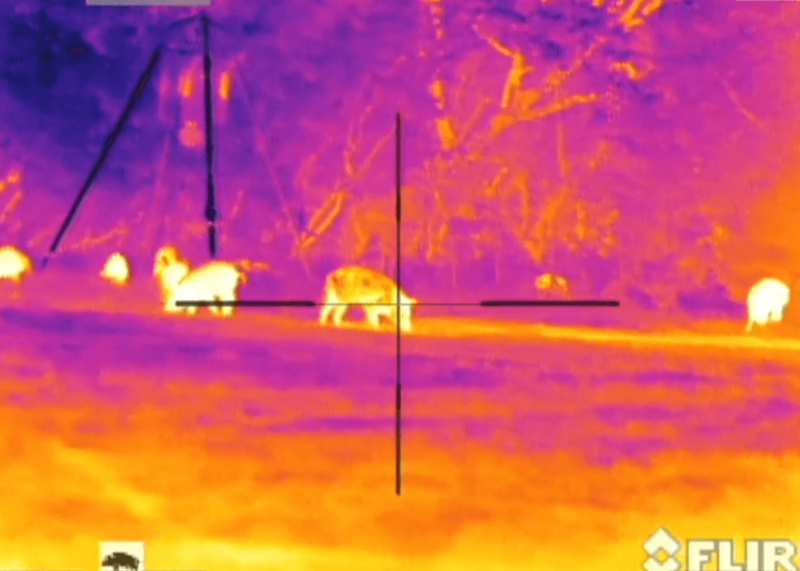 This is a comprehensive review of the best Thermal Scopes on the US market today. However, we have taken only the entry level scopes from all the key manufacturers. There are clearly more options where you can spend more on these scopes and they mainly consist of two factors. Lens size (for more magnification) and sensor resolution (sensor resolutions generally falls into the following: 160×120, 320×256, 336×258, 384×288, and 640×480). Please refer to the manufacturer’s site for more information on their other models. 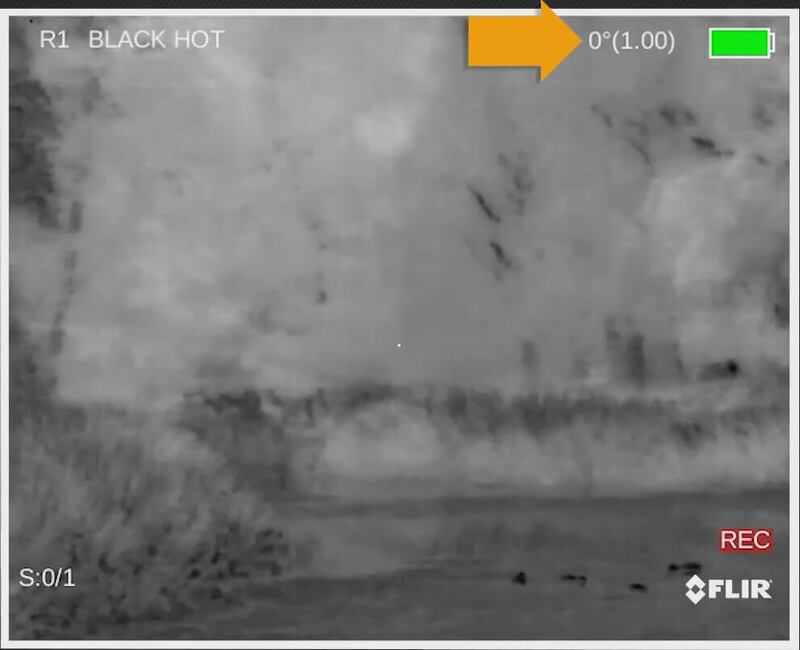 Thermal Sights today have mostly replaced the old night vision scopes. When they first came out about 8 years ago they were prohibitively priced at more then $10,000 and didn’t offer a lot in terms of image performance or features. Fortunately for us technology moves forward and today a number of companies offer great scopes at almost affordable prices. They have scopes that are new, have good overall reviews from customers, and are not outrageously priced. The most popular application of these scopes is hog and varmint hunting. 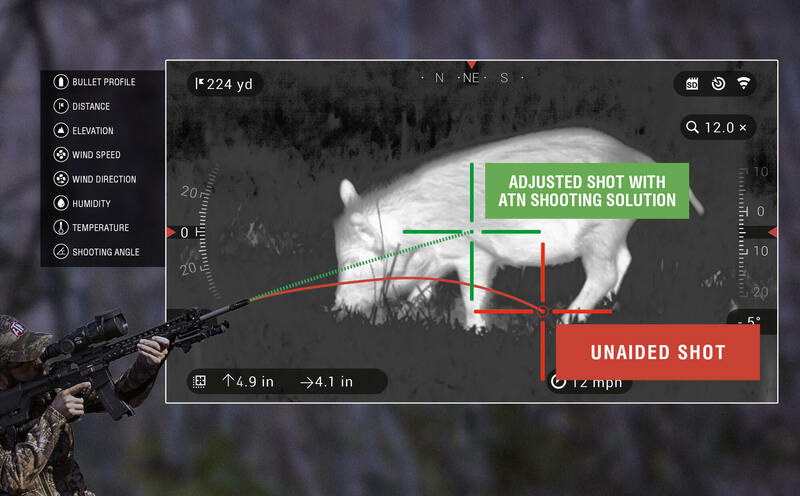 Anyone having to deal with a pig problem on their land knows all too well how much help a good Thermal sight can make. Now, that one can buy a good thermal sight for around $2k, these scopes are becoming a bigger and bigger part of your tool belt. So hope you enjoy this review and please send any feedback to info@under-reviews.com. Thank you. Click here for a short Summary. Our #1 scope is the latest ATN addition. 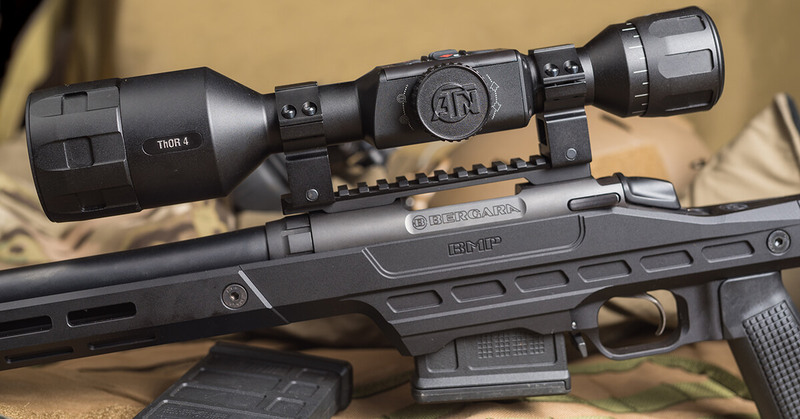 Released in 2018 it is the latest and 4th generation in ATN’s Smart Scopes. So not to repeat myself it has all the same features as their previous model ThOR-HD (so please read that review first). 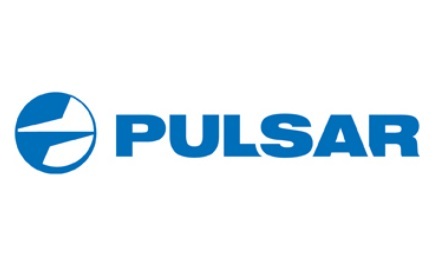 Besides Pulsar no other company even comes close to the functions and features that the ThOR 4 has to offer and even Pulsar is a distant second there. But let’s talk about the big improvements over the ThOR-HD. Design and mounting – ThOR 4 looks like a regular scope. You may think this is not a big deal until you start mounting it and realize that it is mounted on standard 30mm rings. You can use the rings that come with scope or depending on your platform use whatever you want. Image quality – Superb image quality even though the resolution did not seem to change. Have no idea why, but good job. Eye-relief – Superb. Same as most of my regular scopes. No worries at all and no need to adjust your cheek placement. Battery Life – 18hrs of internal batteries. Easily charged with a standard USB-C cable. Can have an additional battery pack if needed. Built tough. This scope just looks and feels solid. No plastic parts and all scope. Comfortable buttons with a wheel to adjust zoom. Menu has also been simplified with Standard mode or Advanced mode. So if you don’t want to use all the smart features or at least not right away, the default is Standard and your not overwhelmed with information. Bad: Weight is still a bit higher than Pulsar or FLIR. The objective lens was a bit tighter than I like. ATN launched the ThOR-HD a few years ago as the first Smart Thermal Scope and even though it is a few years old (and these days it actually means something) the scope is still great and especially now that they lowered the price. First of all, image quality – good and on par with the Pulsar and the Armasight system. Handled recoil just as well as the others on a .308. Sighting in as easy as the Pulsar. Eye-relief good. Fairly easy to use although you do need to figure out how to navigate the menu – there are a lot of options. Maybe a bit to complex for my dad. Still you can keep the settings fairly simple. Battery life is good but to really not worry about batteries you should get their battery pack which extends battery life 20+hrs. An extra $100 but well worth it. Now features. Well there is a reason this scope is Smart and ATN leads this category. 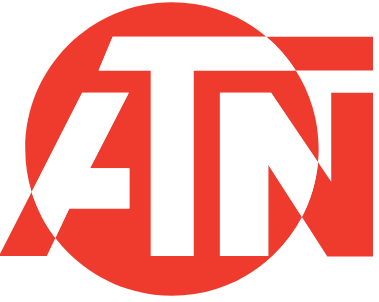 There is literally every feature one can think of and with ATN’s updates more are always in the pipeline. When you look into the scope you immediately know that you have some serious tech in your hands. The picture looks like it just came out of Star Wars or the latest James Bond film. The scope actually was shown in James Bond Spectre briefly. Video and Photo capture is superbly easy and they are stored on a simple removable SD card. Such a simple solution, hard to understand why everyone else doesn’t follow suit. They also have RAV mode that allows you to capture videos only when taking a shot. The scope actually records video “Prior” to your shot and some seconds after. No button presses nothing at all. Tried it – works great. Ballistic Calculator is nothing to sneeze at. Set up your weapon and ammo profile once and you are ready to go. In the field it is pretty quick to use and will increase your accuracy tremendously for those longer and risker shots. If you do plan to hunt at past 300 yards it’s a great feature to have and certainly reduced your chances of just wounding your prey. (Note: we are testing here entry level scopes so the magnification on this model is relatively small for long range shooting. However, ATN as well as the other manufactures, offer same technology scopes with larger lenses and higher magnification). Video streaming worked terrific as well and was able to stream everything to my Iphone 6 so my son could watch. In all there are more features than I can go over in this review. Price. It is the most affordable of all the scopes we tested. Some issues – mount is mediocre. I would expect a better one, although it can be replaced easily enough. Objective lens is a little too loose for my taste. I would’ve liked it to be tighter. Buttons are slightly small for my big fingers. Also a bit heavier than the Pulsar or the FLIR scopes. 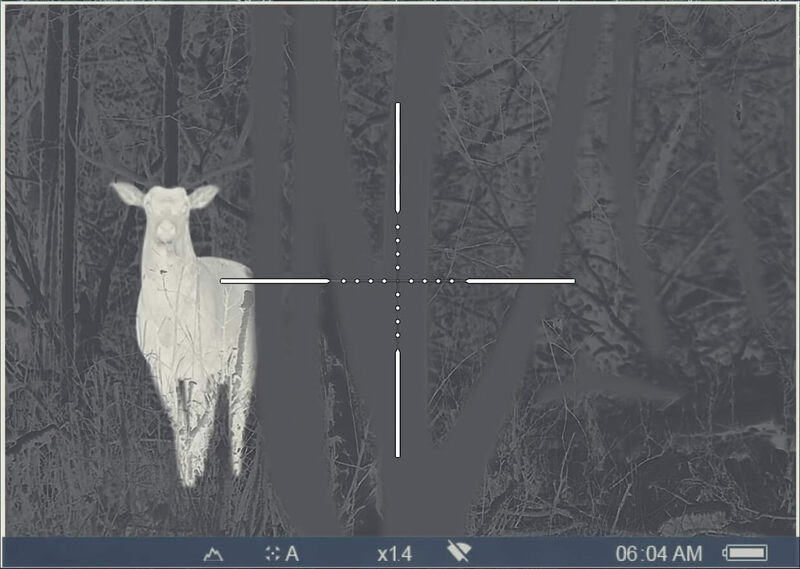 Pulsar from Belarus has been making night vision, thermal and digital for as long as I’ve been hunting. Overall I always found their products to be well made, clean and without a lot of flaws. The new Trail Scopes are no exception. Image quality is quite good certainly no worse than the Predator or the ThOR-HD and clearly better than the PTS233. Love their Picture in Picture mode. It takes up a little more screen space then I would of liked but it’s a nice way to hone in on your target. I assume its their patented feature since I have not seen anyone else come out with the same option. Easy to use Video record, has decent battery life of 8hrs and has lots of features such as Range Finding using approximate size of your target (similar to a range finding reticle or a mil dot). Fully waterproof it also handled our .300 Blackout with no problems and sighting in was easy with their cool Zeroing feature. Connected to my phone for streaming but here ran into some difficulties. Possibly it was my older Iphone 6. Not sure. Stil overall good image quality and plenty of bells and whistles to make this scope worth a look. Fully waterproof, most others are water-resistant. Downside – Plastic housing. I know that some military gear today is made out of plastic but I still feel that a metal housing is the way to go. All my regular scopes are metal and don’t see why Pulsar decided to go plastic. I think it will severely limit the lifetime use of this product. Battery also reminds me of an old camcorder and even after a few shots felt not 100% attached. We did not have any shut off problems but again I foresee issues in the future. 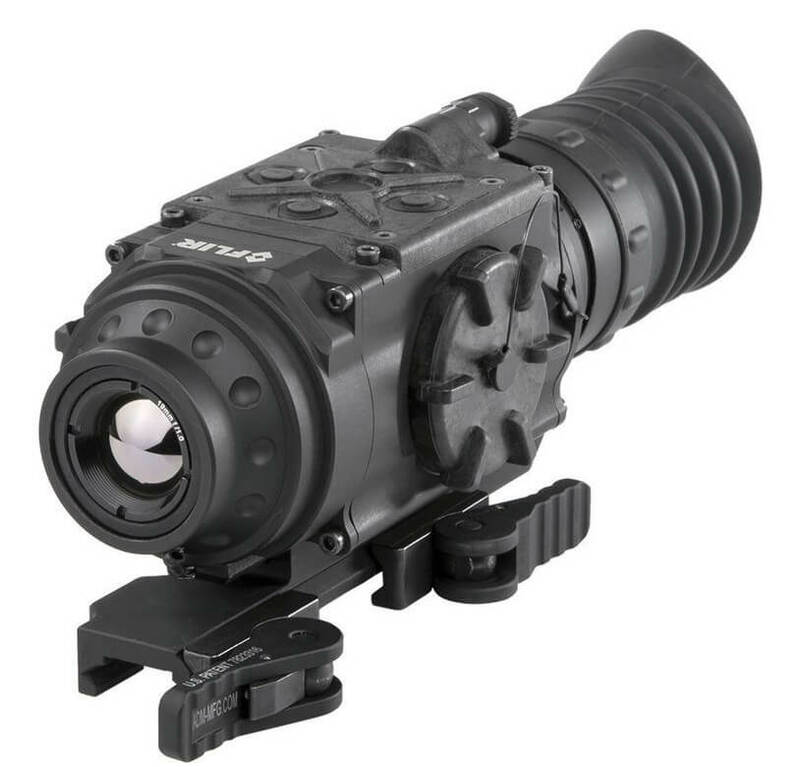 The Armasight (now FLIR) Predator has been around for a while and is a solid Thermal Scope at a competitive price. It is fairly light weight. Has good image performance, resolution and is easy to use. The quick disconnect Picatinny mount is a nice touch and makes the scope easy to take on and off when wanting to use on multiple platforms. Held zero on our .300 Blackout and had no shut off issues or other problems. Some issues – eye-relief could be longer. It’s not horrible and certainly better than the Trijicon but still would be nice to have another finger width there. Battery life of 4 hrs. Maybe this was OK a few years ago but not anymore. The latest Pulsar scopes offer 8hrs + and the newest ATN is now at 18hrs. Video and Photo taking is available so good job there but would be nice if they had a simpler way to transfer the images to your computer. Still not bad. However, not many other features past this. No Ballistic Calc, no Stereometric Range Finder, no Picture in, and many other gizmos that the two leaders above now have standard in most of their scopes. Other: Uses the new 12 micron FLIR core. The newest Entry from FLIR features their new Bosun 12 micron core. Although, there was a lot of hoopla when the first Bosun core was announced for now the results are far from amazing. From testing in various weather conditions and environments we found that the new Bosun 12 micron in the PTS233 has a poorer image quality overall than their older model the Armasight Predator 336. The image tends to be blurier and the resolution is not quite there. Weight of the scope is about the same and the Predator 336 is slightly less expensive than the PTS233. Overall the scope looks well built but is practically identical to the earlier Predator and of course the Predator has a higher optical magnification of 2X vs the PTS233 of 1.5X. Considering this is supposed to be FLIR’s next generation – not a very impressive effort. Maybe they will get better in image performance with time however early adopters will not likely benefit since there is no way to update your firmware. 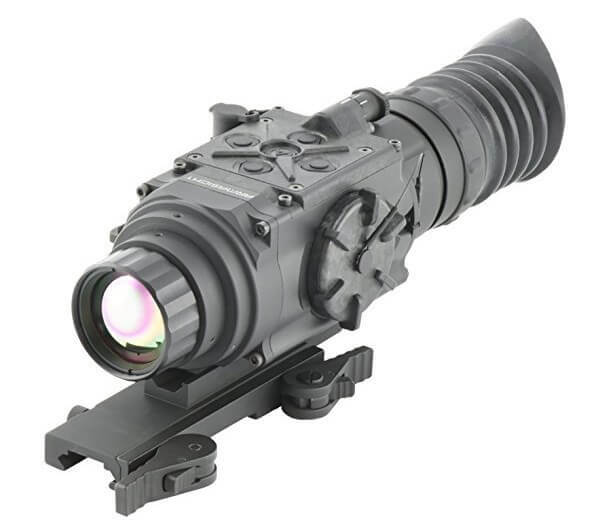 If not for the Trijicon’s price – this scope would be on the bottom of our list. Other: Uses a BAE 12 micron core. Well built. Although we are ranking the Trijicon IR Hunter #6 on this list I would like to point out that this is a very well built scope. It looks tough and military rugged and has a pretty good image. The scope is built in the US and was recently acquired by Trijicon to add to their family of products. I am sure it will serve well in tough environments and rough use by troops in the field. It even has an IR window (an expensive component) that protects the main lens from major dust storms and accidental smashing of your scope into rocks. Recoil from a .300 Blackout didn’t seem to phase it. Although the eye-relief is way too short – this may be ok for an M-4 but not for most hunting rifles – unless you are just a glutton for punishment. This is all great if not for two factors – price and features. 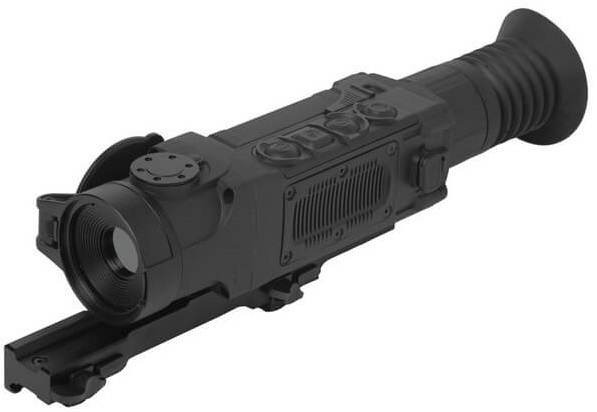 First price – all three other manufacturer’s ATN, FLIR, and Pulsar have 640×480 resolution thermal scopes starting at between $3,500 to $4,000. That’s a big difference in price. Image quality does vary between the three but not so significantly to be worth almost a doubling of the price. 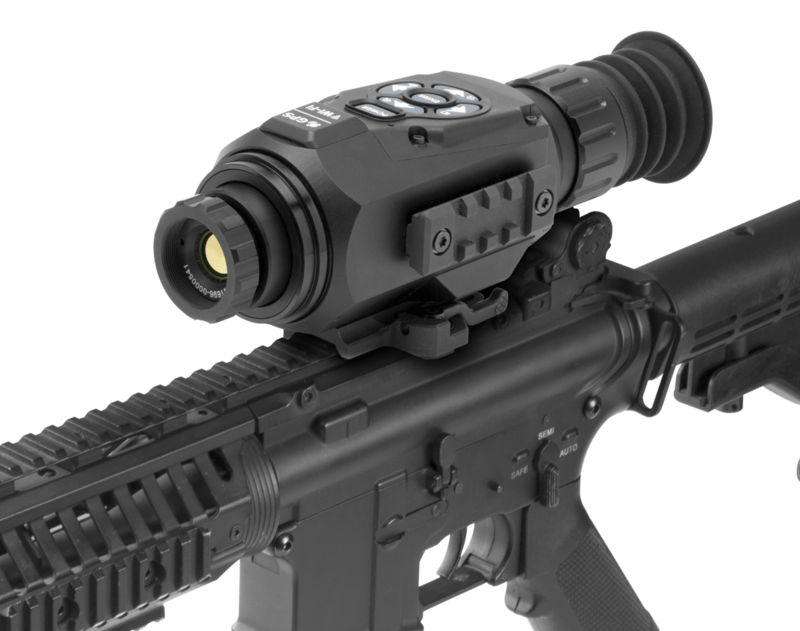 Secondly features – FLIR scopes have a few more bells and whistles but both ATN and Pulsar are way ahead of the pack. Video Recording, Ballistic Calc, Image Streaming, Apps for your phones – Trijicon has none of these. Now, not everyone may need all the functions but just like in your phone it’s nice when they are there. In the end Trijicon IR Hunter is a good product but seems overpriced. Probably so it can be sold to our Military at a premium.